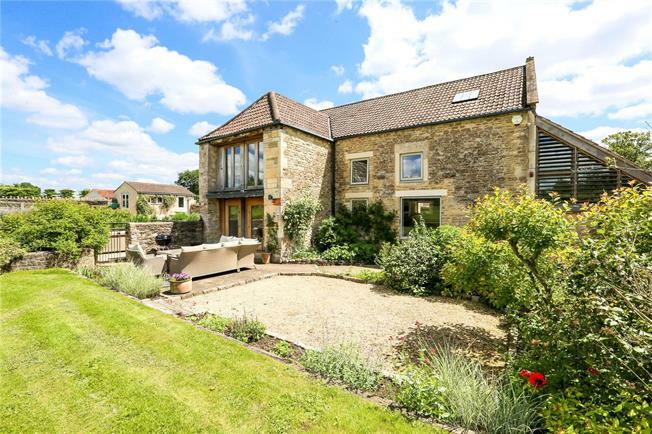 5 Bedroom House For Sale in Trowbridge for Guide Price £1,250,000. A stunning detached barn conversion situated at the end of a pretty lane. The former farmyard is now home to just three period homes adjacent to the church; a wonderful setting. A cobbled entrance leads to impressive double doors opening into a magnificent space. The barn was converted by the current owners within the last decade. The attention to detail regarding the design and style was paramount and the use of original materials such as the oak frames and stone walls fuse effortlessly with contemporary glass and the use of slate and stone. The central reception hall has a tall full height ceiling exposing the oak A-frame and parts of the original stone walling. The open plan kitchen is well planned with a length of hand made units dividing the dining area, slate work surfaces add a contemporary touch and the adjacent pantry provides plenty of storage. 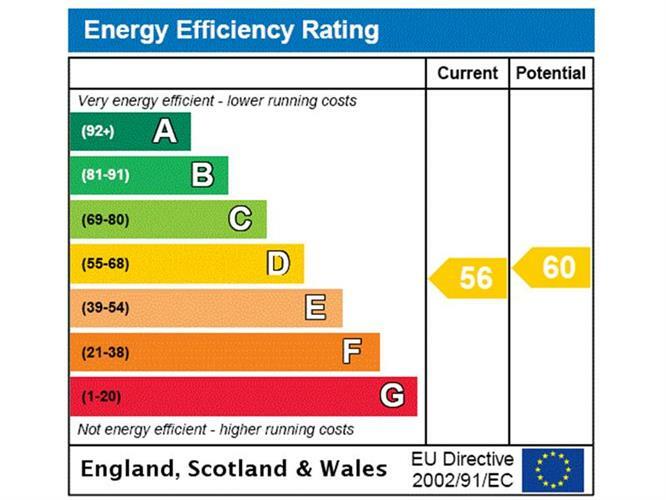 Of note is the energy efficient ground source heat pump providing under floor heating and hot water. With direct access from the kitchen to the garden the perfect layout has been achieved. The adjacent drawing room contrasts well with the lofty height of the previous room and is a large yet cosy room with lower ceilings, wooden flooring, a wood burning stove and a large picture window looking out to the garden. Contemporary glass doors slide open into a sitting room with views of the church. A utility and store room add practicality and a bedroom suite on this floor provides a great guest room. A beautifully designed curved staircase leads to the galleried first floor landing which bridges the two wings and offers an impressive view of the central section of the house. The master bedroom benefits from tall ceilings and a wonderful shower room and there are three further bedrooms one with an ensuite plus the family bathroom, one has stunning views over the garden and is currently used as a study. A great village home. Additional Information: Mains electricity and water. Ground Source Heat Pump providing green technology to heat the house and the water. Private drainage. We are informed the house is not Listed by English Heritage however it is deemed to be within the curtilage of a neighbouring Listed property. Council Tax Band G.